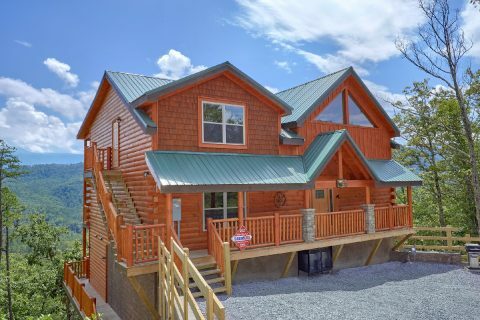 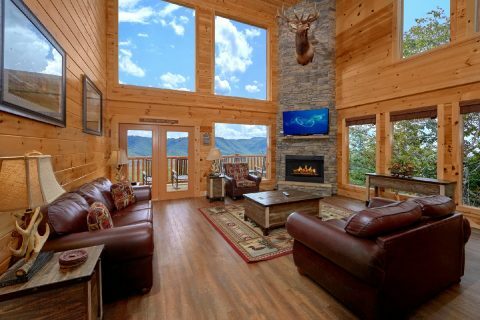 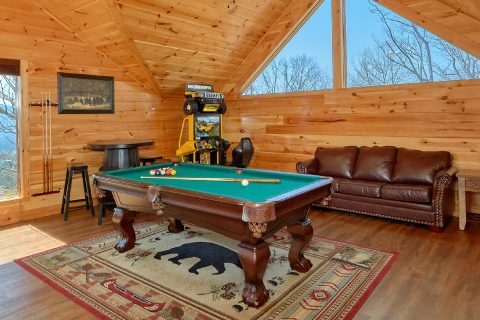 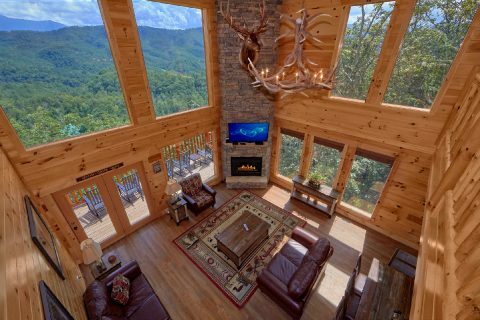 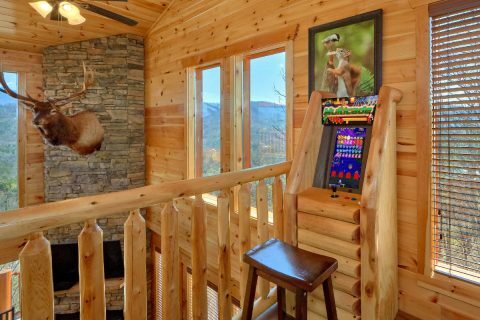 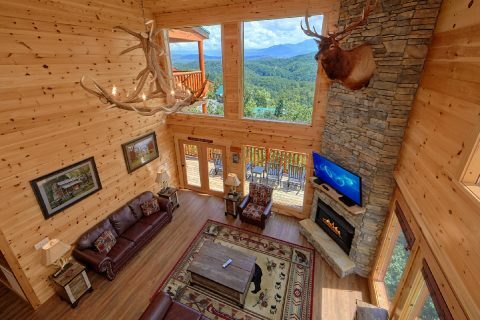 "Elk Ridge Lodge" is a luxury 5 bedroom cabin in Pigeon Forge that comes complete with everything you need to enjoy your Pigeon Forge vacation to the fullest! 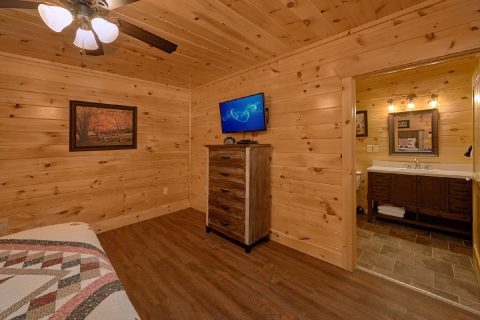 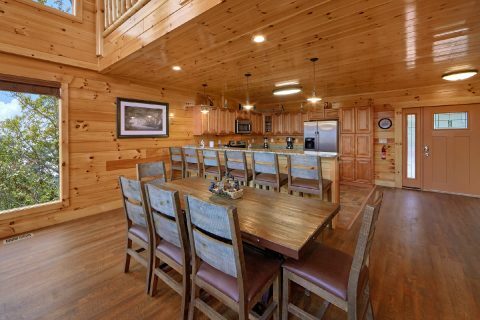 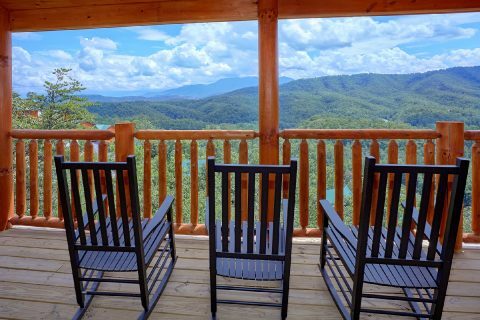 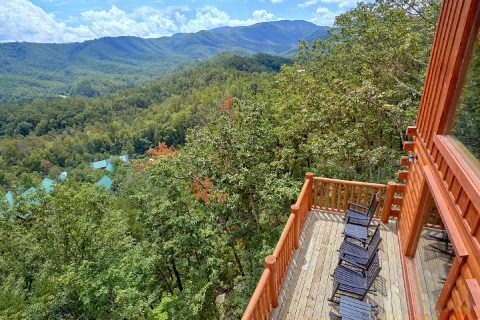 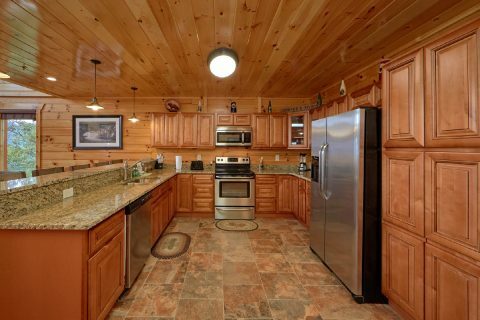 From this cabin's prime location in the Sherwood Forest Resort area, guests of this rental are only 2 miles away from the heart of Downtown Pigeon Forge. 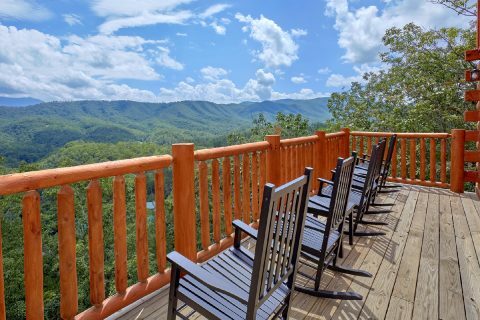 This exciting part of town is home to dozens of attractions, shops, and restaurants, so you'll have plenty of things to see and experience on your vacation. 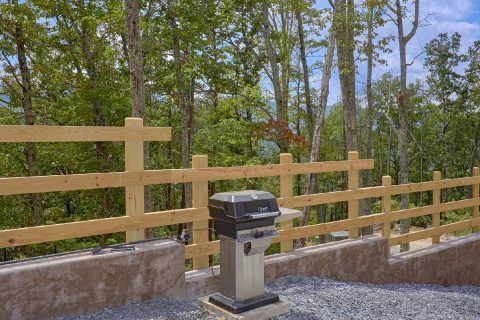 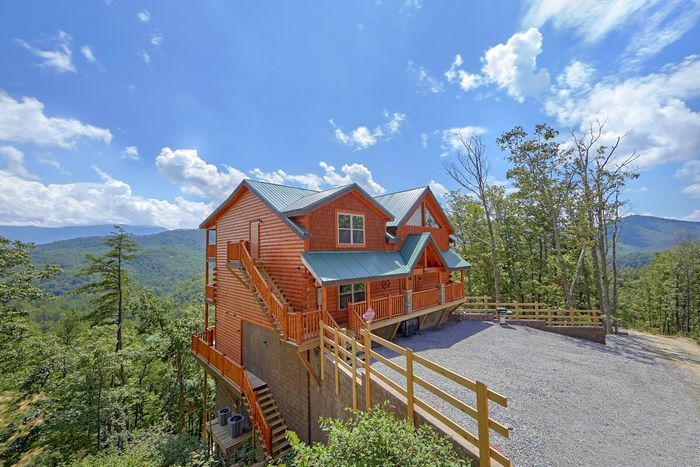 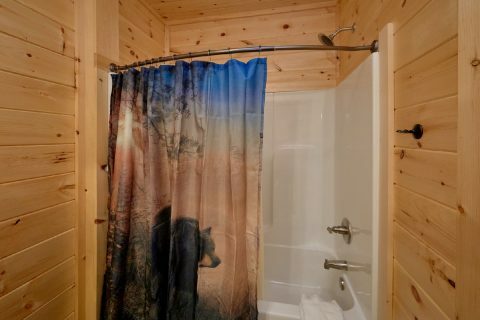 As an added perk, this cabin rental is near the entrance to the Spur road that connects Gatlinburg and Pigeon Forge, so this cabin is also a great option for guests who want to explore Gatlinburg and the Great Smoky Mountains National Park. 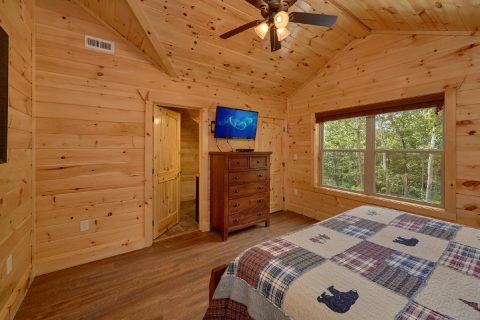 After a great day exploring Pigeon Forge and the Smokies, you'll love returning to this quality cabin with everything you need to unwind. 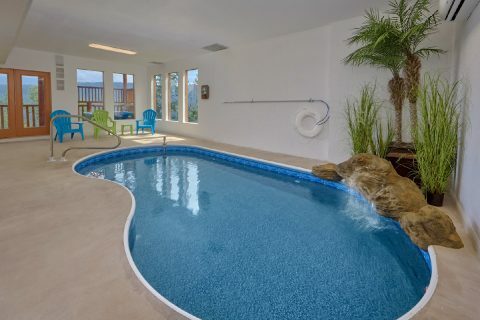 With this cabin's private indoor swimming pool, you can go for a relaxing swim during any season. 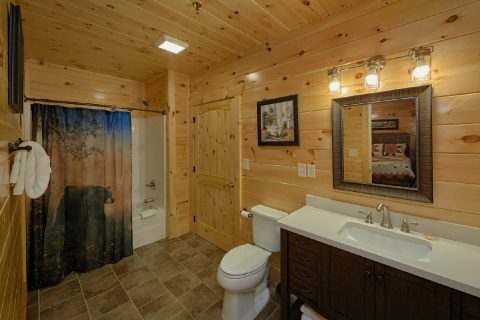 This in-cabin swimming pool also boasts a lovely waterfall feature. 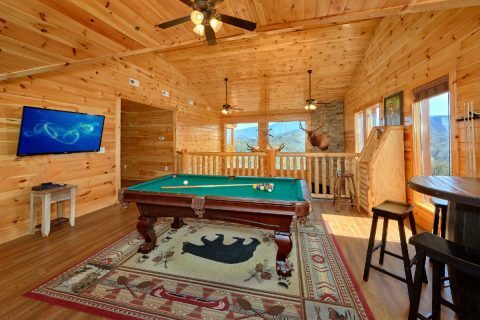 In the living room, you can enjoy good company while you relax by the gas fireplace. 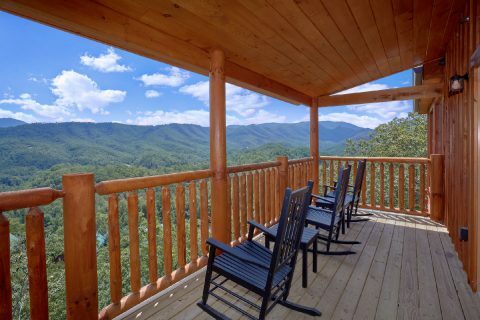 On your cabin's deck, you can look out onto mountain views that stretch for miles and miles. 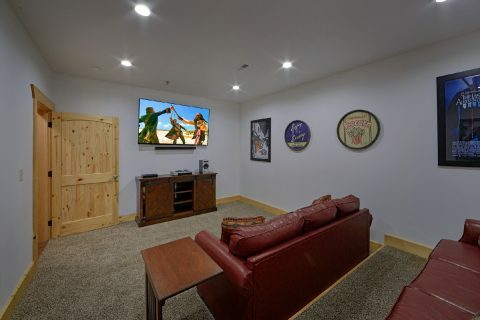 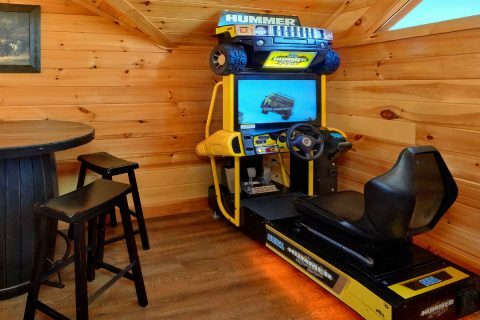 In the game room loft, you can enjoy hours of entertainment with the pool table, a race car driving game, and a multi-game arcade game. 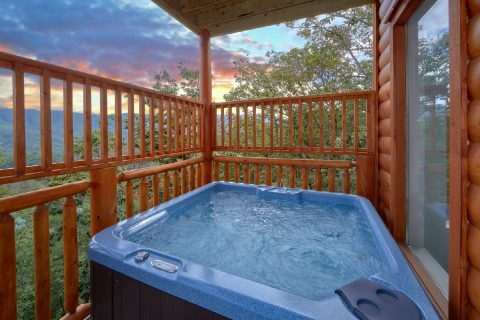 To unwind during your stay, you can always take a relaxing soak in your cabin's outdoor hot tub. 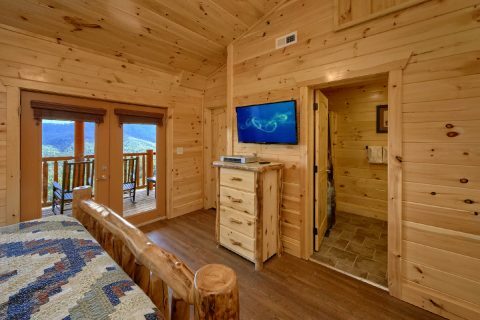 In the lower level of your cabin, you'll also find a theater room complete with a 70" TV and 2 rows of raised couch seating for watching your favorite movies during your stay. 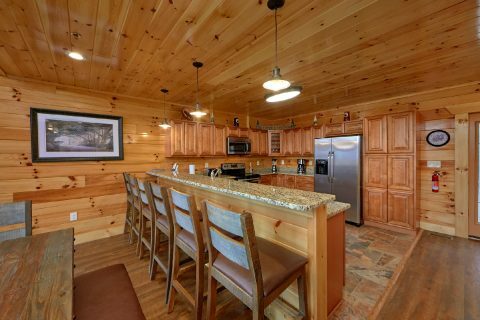 This log cabin also comes with other modern amenities like WiFi, a full kitchen, a gas grill, and a washer & dryer for guests to use. 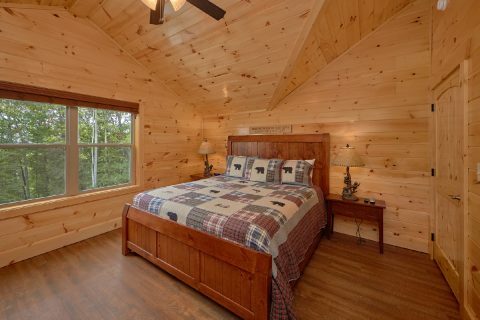 Once you're ready to get some rest on your vacation, you can look forward to sleeping in one of this cabin's 5 bedrooms. 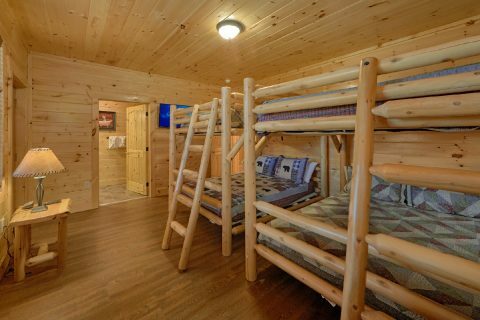 You'll find 2 king bedrooms on the main level, 2 king bedrooms upstairs, and a lower bedroom complete with 2 sets of queen bunk beds. 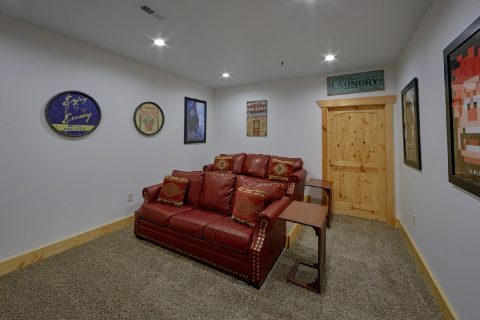 Three sleeper sofas are provided for extra guests. 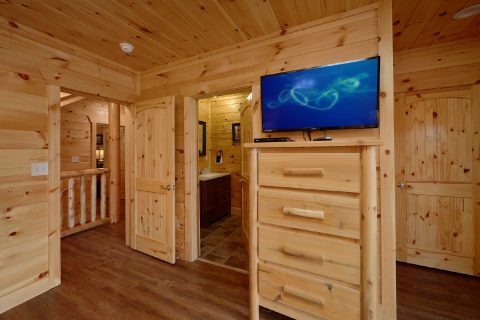 Altogether, your cabin can accommodate up to 22 guests in comfort. 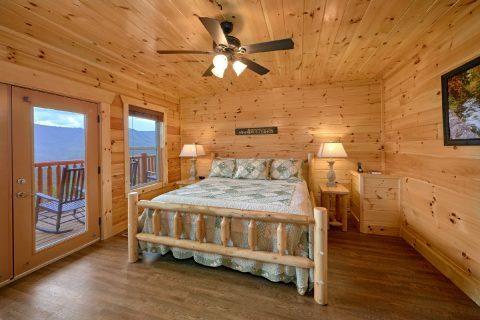 Book "Elk Ridge Lodge" today with Cabins USA to save 15% on your nightly rate! 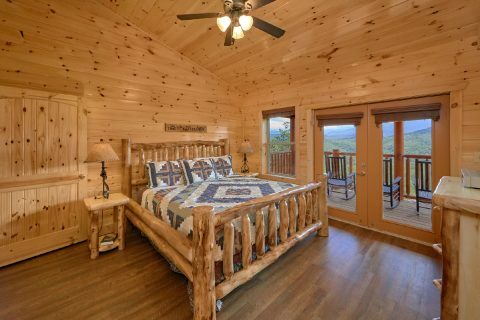 Simply check this cabin's availability to see how much you can save on your Smoky Mountain vacation!